Explore Calangute with Bike Rental in Goa. 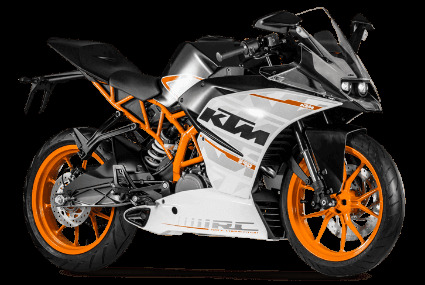 Rent my bike is a motorbike rental company that offers a diversified and exceptional range of two wheelers on rent. Bike riders who have a spirit governed by intense passion to ride different bikes have just landed in the right place. We are regarded as one of the best bike rental companies in Goa due to our personalised service and higher commitment levels. We have a huge store of exclusive bikes where riders can choose to ride on daily basis. The "Queen of Beaches”, Calangute is Goa's flagship beach. It is also the most commercialized of all beaches in Goa. Due to its extreme popularity, Calangute beach beckons tourists and backpackers from all over the world and the beach remains choc-a-block with tourists all year around. The beach is dotted with shacks and a lot of the clubs open up onto the beach. There are lots of shows held on the beach including rock, pop beat shows, open air dances, and fetes. Calangute offers all modern amenities like a post office, banks, foreign exchange offices and medical facilities. When in Calangute a must see is the Church of St. Alex, built in 1741. .
What Documents do one need to Rent A Bike in Calangute, Goa? Rent my bike cares about each and every detail of your tour. The list of things which are MANDATORY to be with you. You will require a substantial bike permit which you would need to submit to the two-wheeler merchant when you rent the bike in Calangute. You can keep a duplicate with you while you drive. Make sure without any doubt you request all archives before you assume control over the bike. In the event that you keep running stuck in an unfortunate situation anyplace out and about, you should deliver the documents and won't be pardoned in light of the fact that you are a visitor. Looking To Rent A Bike in Calangute ? We recommend that you try out our Rent A Bike service in Goa, the tourist paradise to get your budget in place and enjoy fresh breezy beach air in open sun ride. Why Rent My Bike in Calangute? Rent my bike, here can show you shorelines of Calangute, a great place to discover its many attractions, activities, and fine accommodation. It is located just a short trip away from Panaji, a major city in India, and it is just 15 km (9.3 miles) away from Panjim. Casino Palms, The Medicinal Springs, Kerkar Art Complex etc. The city is worth paying at least a quick visit! To encounter the different shades of this place, rent a bike. On your rental two-wheeler, you can go to stupor parties, look at the best shorelines and investigate the neighbourhoods. Bike Rental in India with more than 220 dealers in 45+ cities. We have earned many awards in the industry for our professional approach and personalized services on motorcycle rentals. You shall always rent a bike with complete peace of mind as our dealers are 100% verified. We compare the bikes from multiple dealers and show you the bike which is quoted for the lowest price, so you always get a best deal on your rental bike. Something gone wrong? No worries, your money is safe with us. With us, you have the widest range of bikes to choose from. From Harley to Activa, find every bike on rent at Rent my bike. Need a bike for rent for just a few hours? Why pay more, just rent a bike on an hourly basis. Have bigger plans? Rent on daily basis. And the most interesting thing, unlike others we don’t count a day of 12 hrs or as we wish. We know that a day has 24 hours and we rent you the bike for full 1 day for the price you pay. Thinking to rent a bike for weeks and have that pricing too. For long term rentals, also consider our monthly pricing bike rents. Join the elite club of highly satisfied customers. Over the years we could maintain customer satisfaction rating which proves that you shall just enjoy your ride like others have done. We are 100% secure and you make payment with top rated payment services in the industry. Further, we do not take your card details anytime. We keep them low, so that you don’t have to carry on with bulky pockets and deal in cash of large amount. We love to give them. Take advantage of Rent my bike and rent bikes with discounted rates always. Our regular customers always rent for less. With regards to renting a bike for Calangute visit, there is no compelling reason to pick usual cabs or autos as there is an extensive variety of two-wheeler model to look over with a complimentary helmet from us for your safe ride. Regardless of whether it is a get-away alone or a visit with family, bikes like Harley-Davidson, KTM RC 390, Royal Enfield, and so forth., can give you the best adventurous experience. One can likewise pick premium Activa for more prominent solace or settle on budget bikes or you can pick your most loved bike from our fleet. Arrive in Calangute, locate Bike Pickup Point OR get Doorstep delivery, check bike, Deposit Photo ID Proof, Pay Balance amount & Ride on! Rent my bike in Calangute assures you an unforgettable drive your life through these activities or places. Goa Off Shore: Churches and Spice Farm Tour: Combine adventure and pleasure on this 6-hour tour from Goa to the churches of Old Goa and a spice plantation. Admire the architecture of the old churches, see the elephants on the spice farm before enjoying a Goan-style lunch. Castle House: Castle House is not located in a prime location of Calangute, but it makes up for this with its nature-friendly, relaxing environment. It will be sure to give you a kind of comfort which you can never have at any place. Medical Springs: The Medicinal Springs is a nice attraction to check out, located in the cashew covered foothills of Calangute. Popular as a Goan picnic spot, you can pack a lunch and bring it here and take a bath in the medicinal water. You can reach the springs by following the narrow road after the Bom Viagem Convent. Calangute is the best place to visit if you want peace. The pleasure of holidaying on Calangute Beach, in the company of your loved ones, friends or family, is unsurpassable. Although you can visit the beach throughout the year, the best months are from November to February. We await your arrival! !